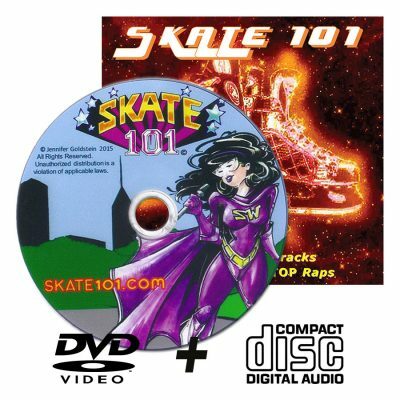 View cart “Skate 101 DVD + CD Combo” has been added to your cart. The world's best skate class! Learn to skate on quads, ice and inlines in no time! 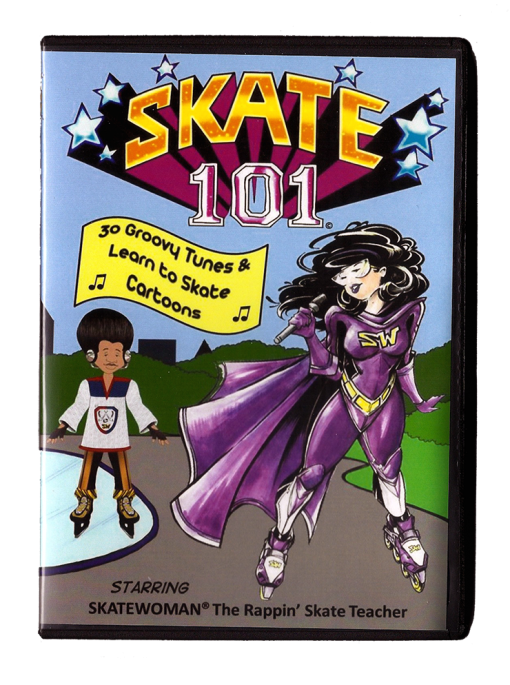 This super cool collection of learn to 30 skate lessons are animated cartoons with funky tunes. 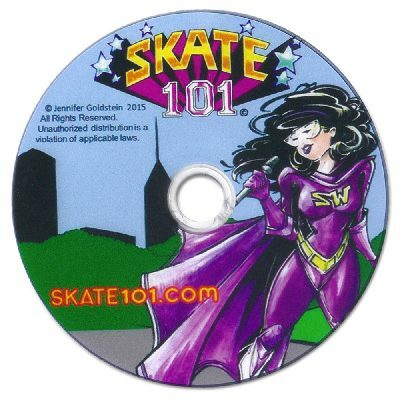 Stream the Complete Collection of Skate Woman’s Instructional Skate Tunes & Animated Cartoons from the Skate 101 DVD. 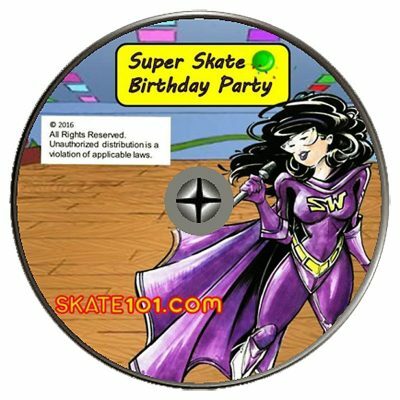 What if you could bring the best skate class right into your home, to enjoy on your computer or TV? 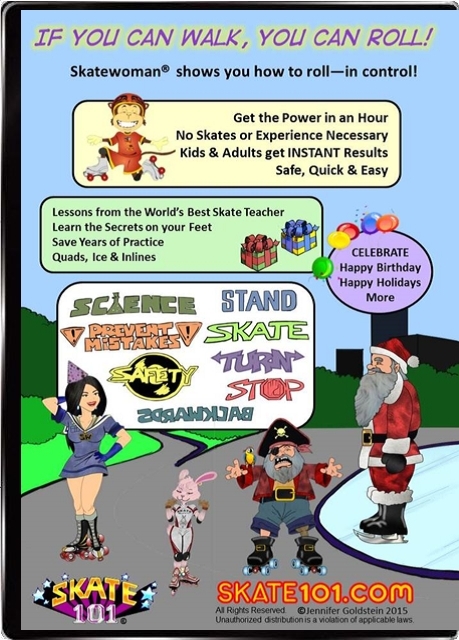 What if you or your kids could learn to skate quickly and easily, without spending a fortune? Well, now you can! 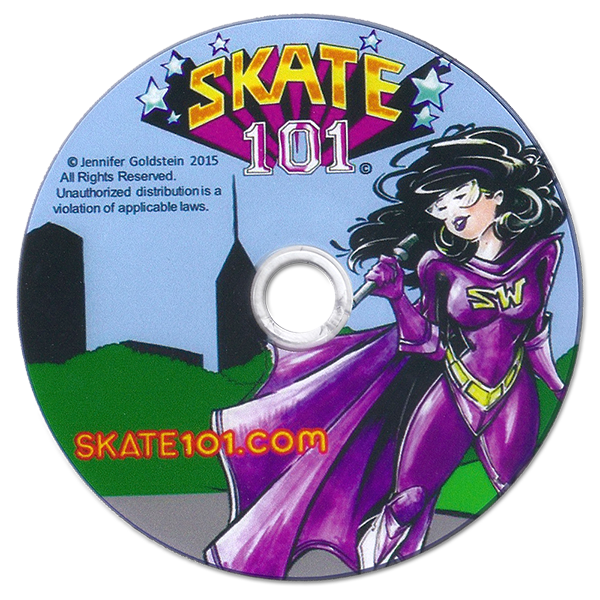 Jenny Jen, aka Skate Woman, now offers the SKATE 101 video collection as streaming content– a super convenient way to learn how to skate, and have fun doing it. You don’t need any previous experience, and you don’t even need a pair of skates to master the fundamentals. Learn how to gear up, stand, move your feet, stop, turn, change terrain, maintain your skates, and more. Avoid the eight mistakes beginners make. Master quads, inlines, and even ice skates, in no time! Easy to follow along music videos show you what you need to know to roll in control. 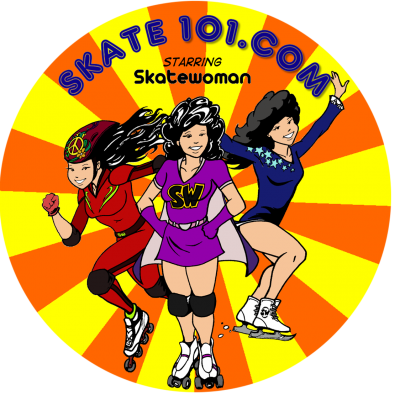 The Skate 101 series, starring Skate Woman and her friends, includes 30 Animated Cartoons, complete with Jenny Jen’s popular Funky Tunes. Get the Power in Under an Hour! 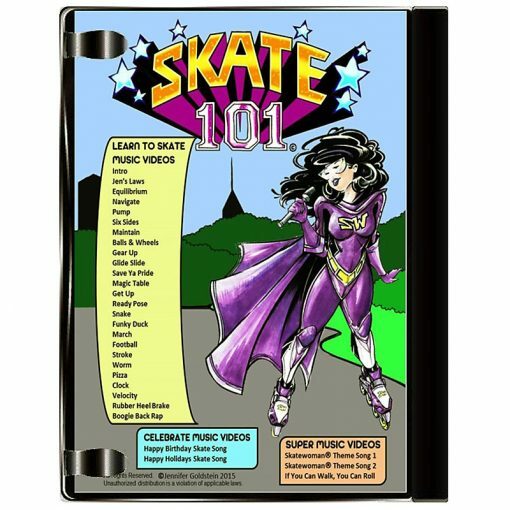 Skate 101 is safe, convenient, and quick. 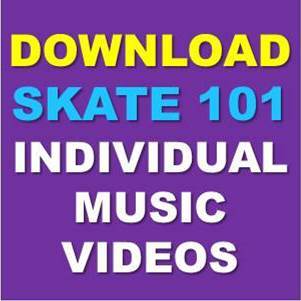 Stream Skate 101 today, and get the complete collection of instructional skate lessons– easy to follow, and easy to stream!